Dream of a community horse center is now reality at Misty Meadows Equine Learning Center in West Tisbury. 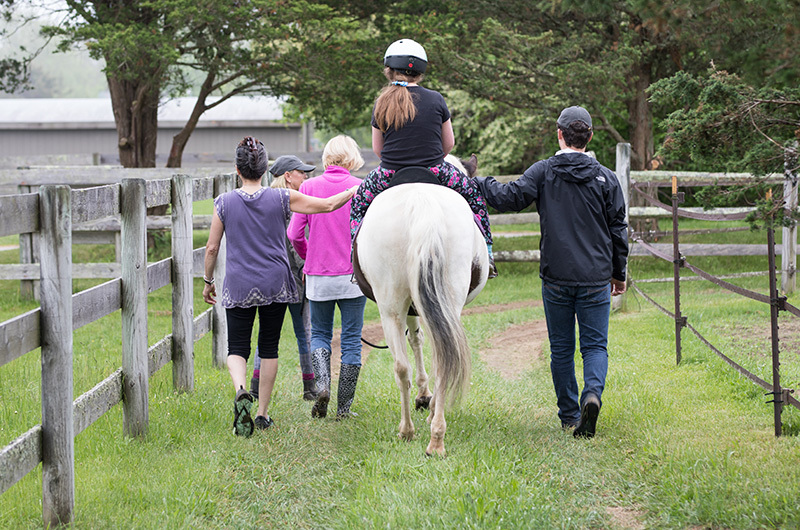 What began as a collective twinkle in the eyes of Island horse lovers has grown in a few short years to a bustling, thriving center for Island kids who want to get involved with horses. Today the Martha’s Vineyard Community Horse Center hosts a full schedule of after school and summer sessions, workshops and events. Next month the facility will change its name to Misty Meadows Equine Learning Center. The facility recently merged with Rising Tide, a long-established Island therapeutic equestrian center. The new name reflects a broader mission and vision for Misty Meadows. “Between the continued growth of our existing programs, which have been growing each session, and then adding the Rising Tide piece, it feels like the past six months has been a really big jump start for us,” said executive director Sarah McKay. But while the horse center may be hitting its stride, integrating new programs and adding more kids is not an easy process. To help raise funds and visibility, the farm will stage a two-day fundraising event on Friday, June 22, and Saturday, June 23. The Friday evening event will feature food, dancing and music with Johny Hoy and the Bluefish. The following day, visitors will get to see the farm in action. 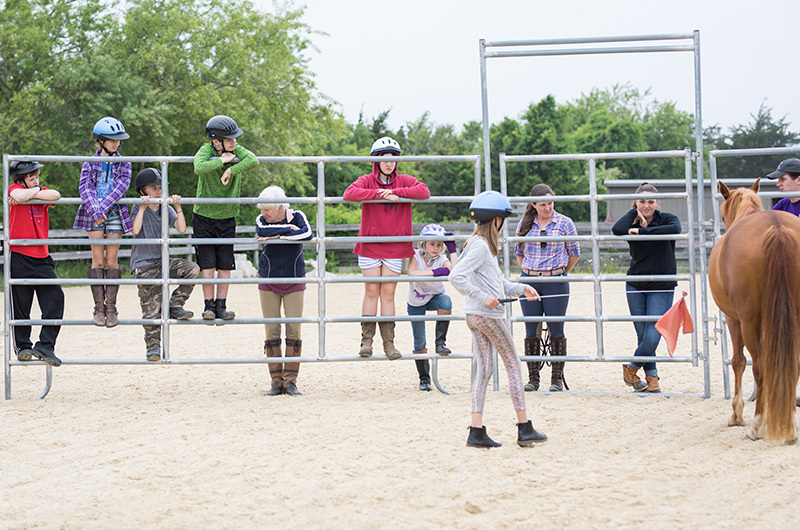 On a recent afternoon, a riding class was just finishing, as kids from the Island Autism Group waited patiently for their turn in the ring. One child walked tentatively toward a horse. A volunteer helped her slip a toe into a stirrup and swing the other leg over the saddle. Moments of connection like that are no surprise to Ms. McKay and the rest of the staff and volunteers at the horse center. The horses seem to sense when a kid needs an extra share of gentleness. The staff and volunteers, with the help of the horses, aim to impart lessons that last long past the riding ring.